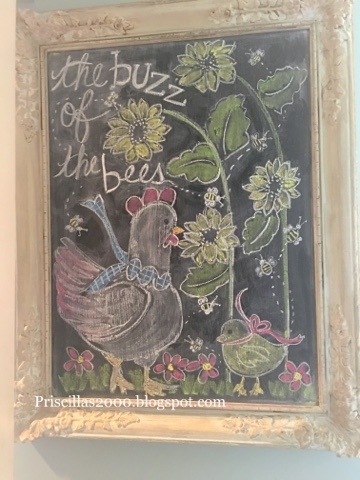 Priscillas: The Bees Are Buzzing! 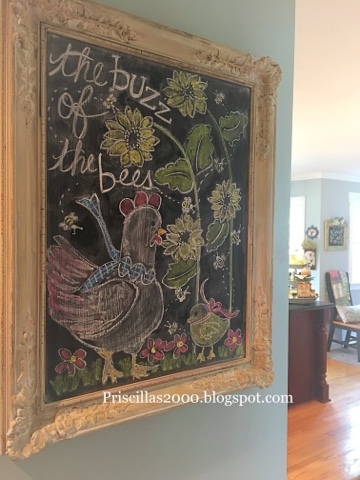 I decided it was time to take down all the patriotic decor today , so that is starting with a new chalkboard in the kitchen..
Sunflowers ..chickens and bees ..I don't have any chickens in my garden but I do have the sunflowers and bees! 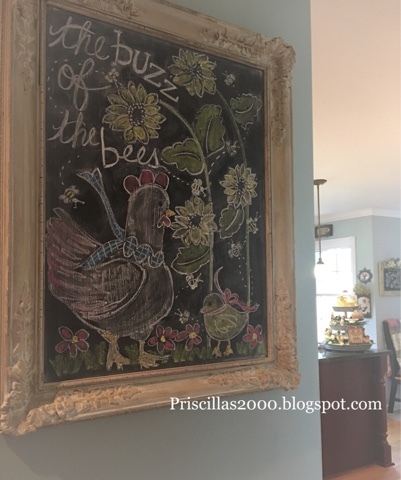 Lots of bees .. Thanks so much for stopping by..have a great day!